Riverside Boat Club was one of the most prominent racing clubs in the country in the first decade of the 20th Century, a stature that was confirmed by its senior eight winning the national championship in 1906. It was a victory embroiled in controversy, however, involving—can you believe it—men’s sweep oars’ drinking. The story is told in the newest edition of the club’s 150th Anniversary History series. 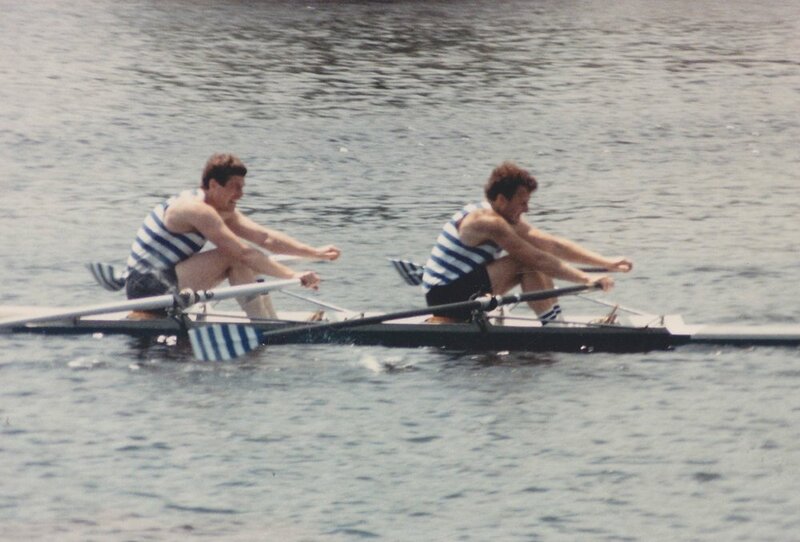 In 1900, Riverside Boat Club’s eight, averaging 145 pounds, won the New England Amateur Rowing Association championship. 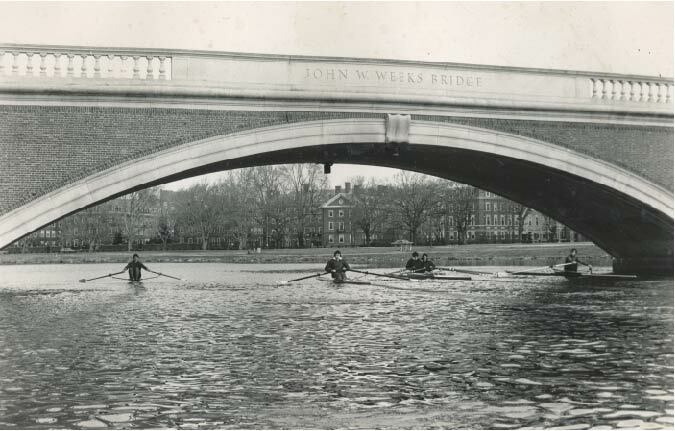 The Boston Globe’s long-time rowing reporter and NEARA figure Eugene Buckley proclaimed it “the first racing club in America.” In 1902, he stated that, “Never in the history of rowing was there greater activity shown in turning out racing crews than is the case at present (at Riverside)”. Seat selection for its intermediate and senior sweep boats was more competitive than ever. Riverside’s 1903 senior eight, coached by George Faulkner and again New England champion, was considered the best the club had put on the water to-date. Reflecting the club’s prominence, in 1906 St. Josephs Boat Club’s highly regarded senior four made news by going over to Riverside as a group. Riverside’s ascendancy was confirmed in Worcester on August 11, 1906 when its senior eight claimed the national championship. It was a claim that was not without controversy, however. Riverside and New York Athletic Club rowed to a dead heat in the championship race. After an interval, the National Association of Amateur Oarsman announced that the race would be re-rowed, even though it was after sunset. Riverside appeared to win. 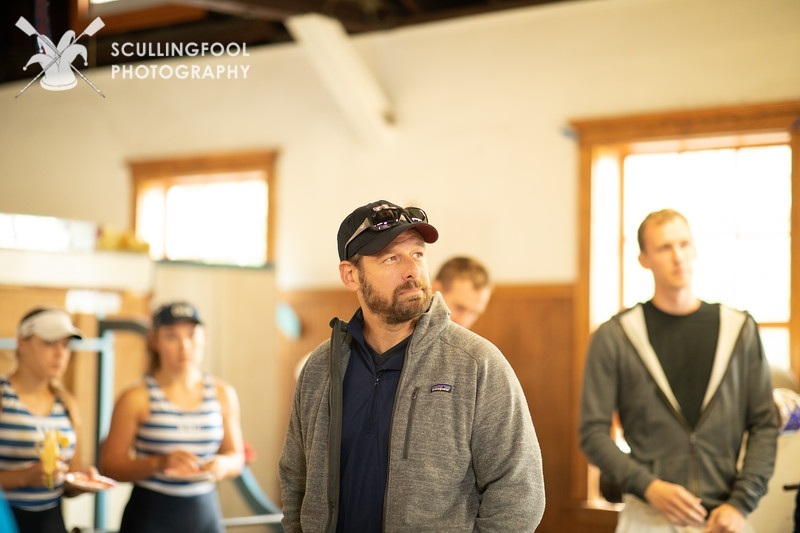 In the race’s aftermath, a disgruntled NYAC filled charges with the NAAO claiming that Riverside had replaced oarsmen who had been drinking prior to the decision to re-row the race with fresh rowers. The NAAO established a formal investigation. At its hearing in Boston on March 9, 1907, NYAC’s representative claimed that canoers who had been at the finish line as Riverside prepared to row up to the start of the row-over had asked how the boat would do given the intoxicated condition of one of its members. 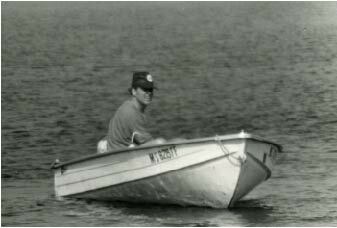 In a sworn statement they reported that someone in the crew answered, “Don’t worry about us, for we have three fresh men in the boat.” Once NYAC’s case was concluded, Riverside’s witnesses were sworn, beginning with George Faulkner, who recounted scurrying around in an automobile to reassemble the boat after the decision was announced to re-row the race. He testified that he was positive that no one but the oarsmen who took part in first race were boated in the second. Faulkner was followed by three members of the crew, who corroborated his statement. At the hearing’s conclusion, the NAAO lead investigator stated his opinion that, “The Riversides have presented a very strong case, and with the testimony to come, I cannot see how their standing can be affected….I believe the Riversides told the truth.” The club’s 1906 national championship was upheld.